Laid down, 31 August 1942, at Kaiser, Inc., Richmond, CA. 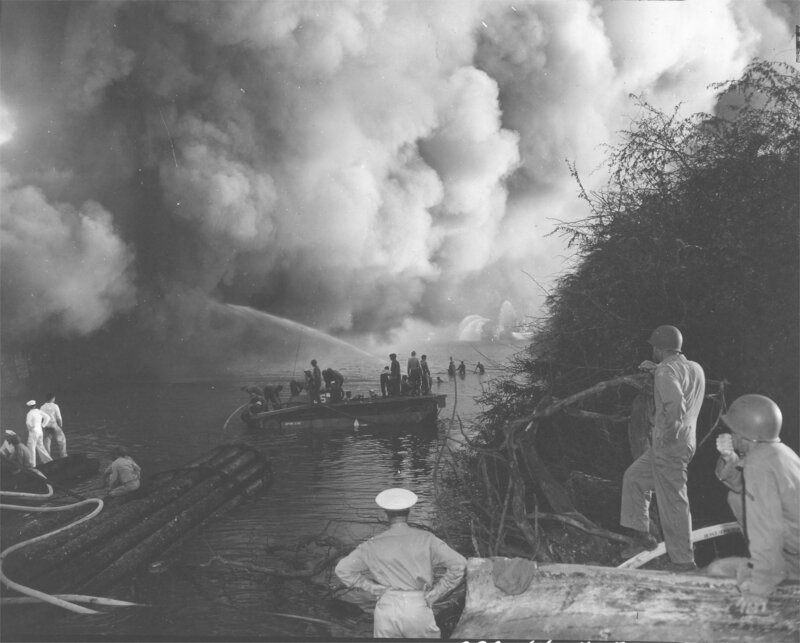 1127k Men watch as fire fighters battle flames in USS LST-480 in the West Loch at Pearl Harbor, 22 May 1944, the day after the disaster. Note the men working from the LVT(2) amphibious tractor in the center. The LVT wears the nickname "Captain Blood". 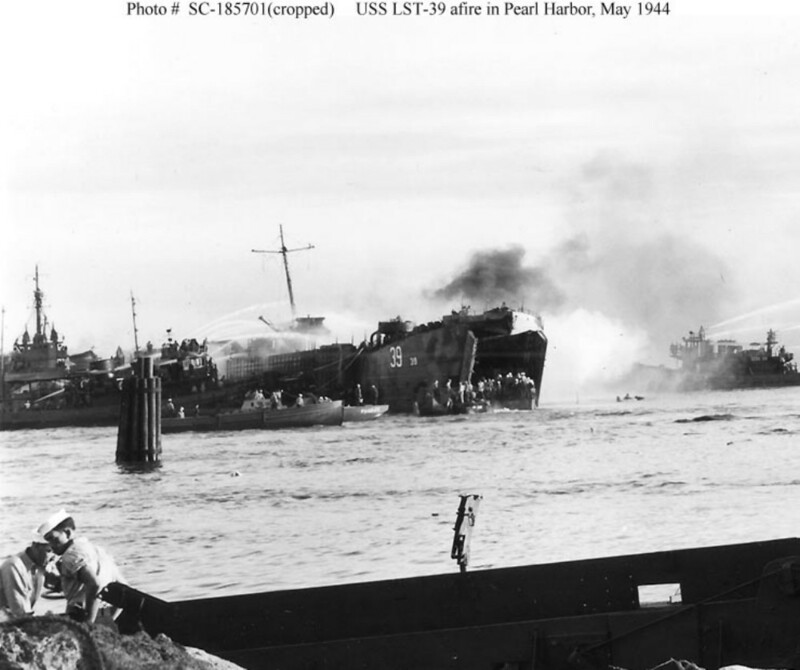 96k Overhead photo of the USS LST-480 on fire again, 12 May 1944. 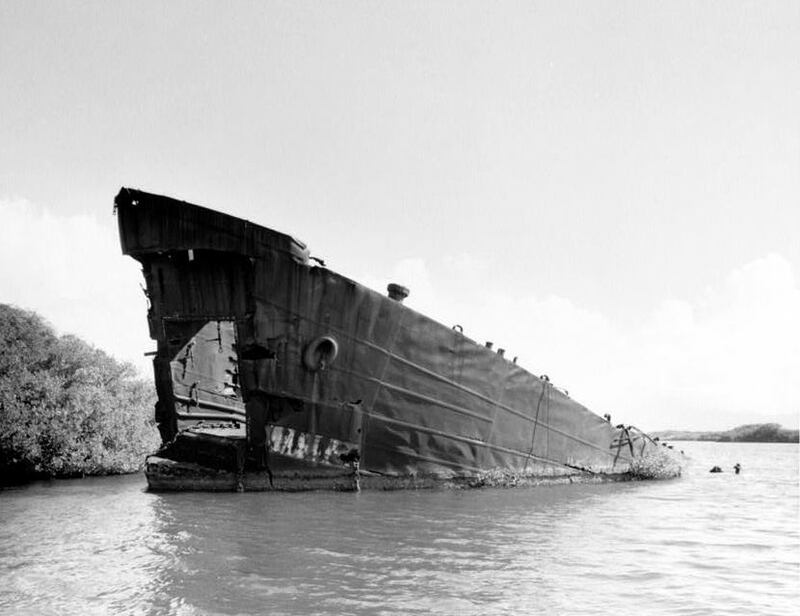 The sunken remains of the USS LST-353 are off her starboard bow, while the beached and burnt out hulk of USS LST-39 is in the left distance. 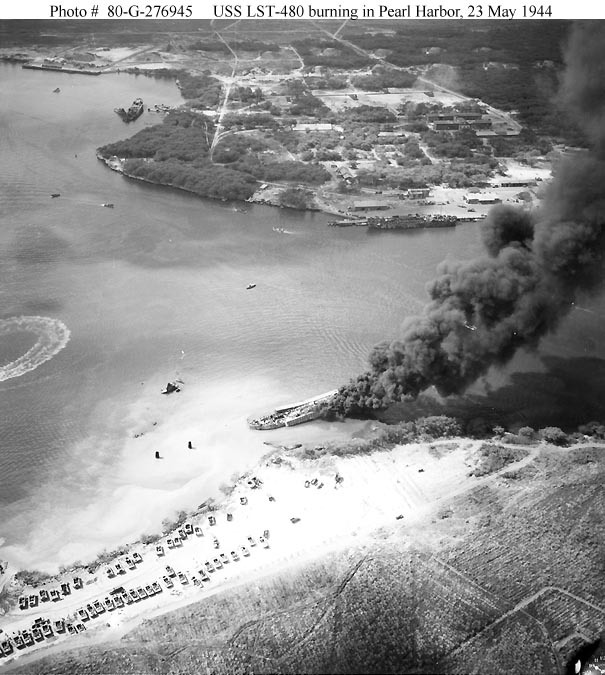 1307k Overhead view of the burning hulk of USS LST-480 in the West Loch at Pearl Harbor, 22 May 1944. The vessel with her bow on the stern of LST-480 is the US Coast Guard Buoy Tender USCG Woodbine (WAGL-289). 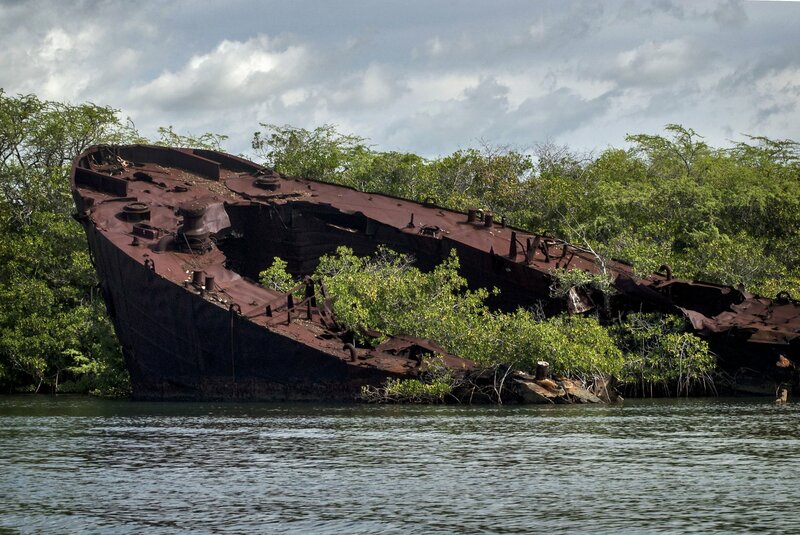 61k The hulk of ex-USS LST-480 on the beach in West Loch, Pearl Harbor the site of the second major disaster at Pearl Harbor during World War II. (See related story link in Additional Resources and Web Sites of Interest below). Photo taken circa 2003. Photo by EN1 (SW) Peter E. Skoutas USS Frederick (LST-1184) A Div. 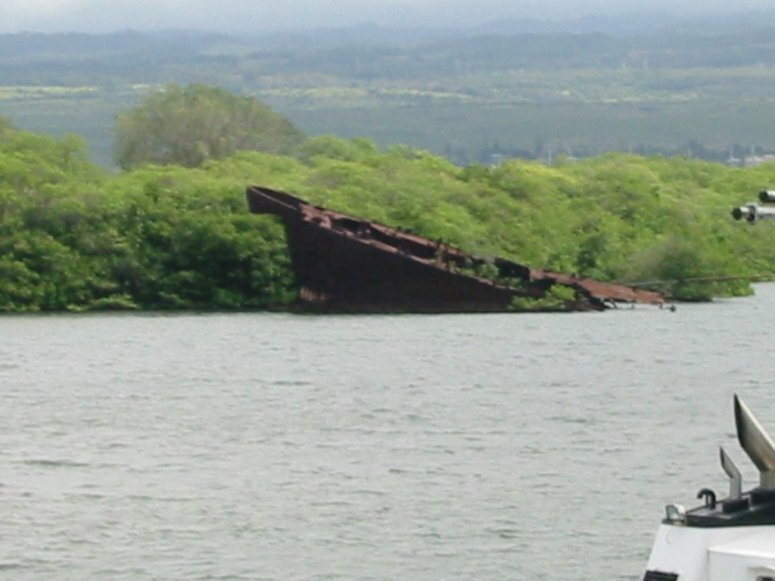 303k The rusted hull of ex USS LST-480 in the water of the West Loch, Joint Base Pearl Harbor-Hickham, 21 May 2003. 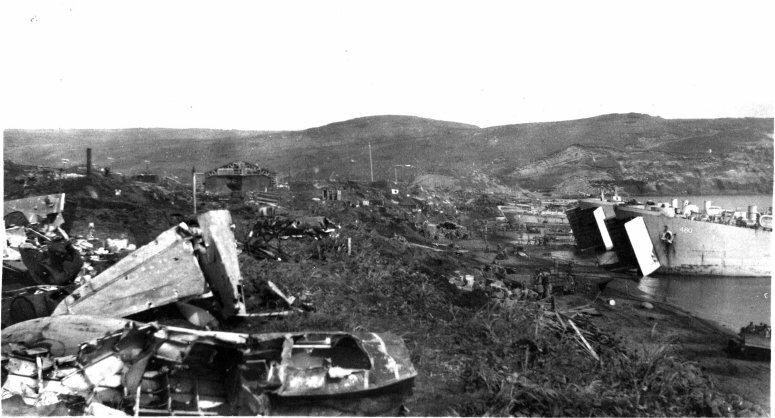 59 years after explosions rang out in Pearl Harbors West Loch, a memorial of disaster reminds all of a quiet Sunday afternoon on May 21, 1944. 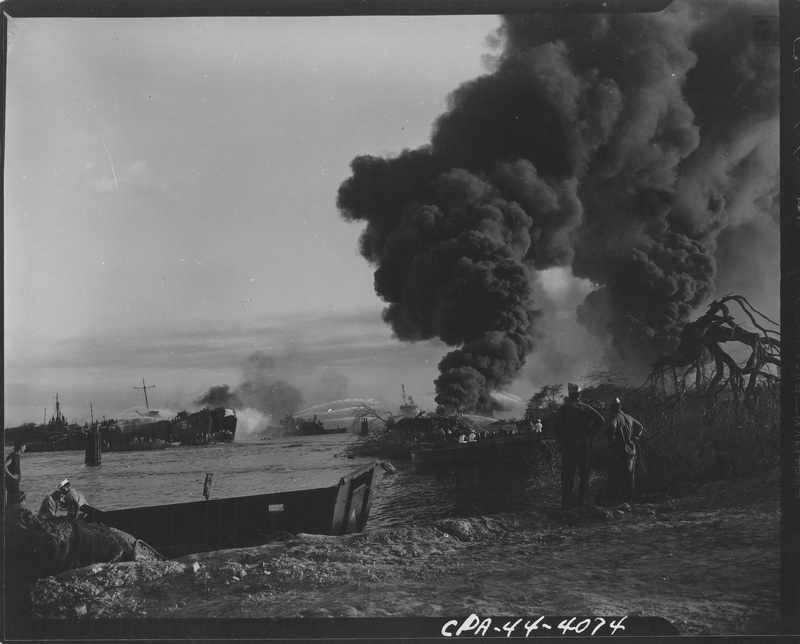 More than two dozen ammunition ships moored there preparing for an attack on Saipan when there was a sudden explosion which caused a deadly chain reaction. 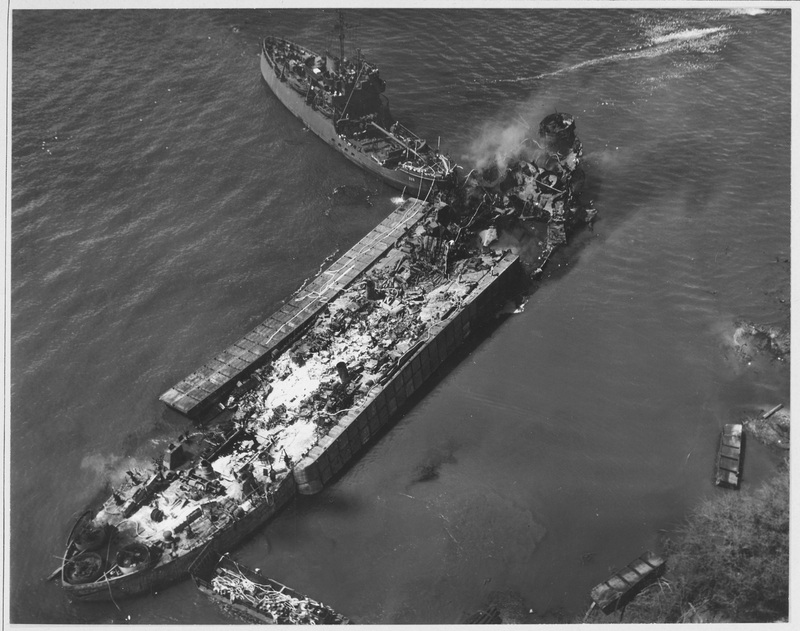 The total casualties from the tragedy were 163 dead and 396 injured and eight ships were also lost. 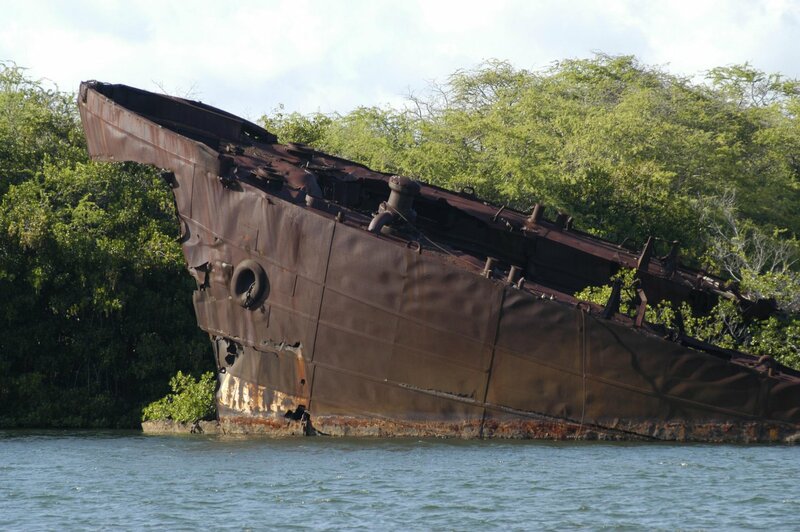 448k The rusted hull of ex USS LST-480 remains in the water at West Loch, Joint Base Pearl Harbor-Hickam. 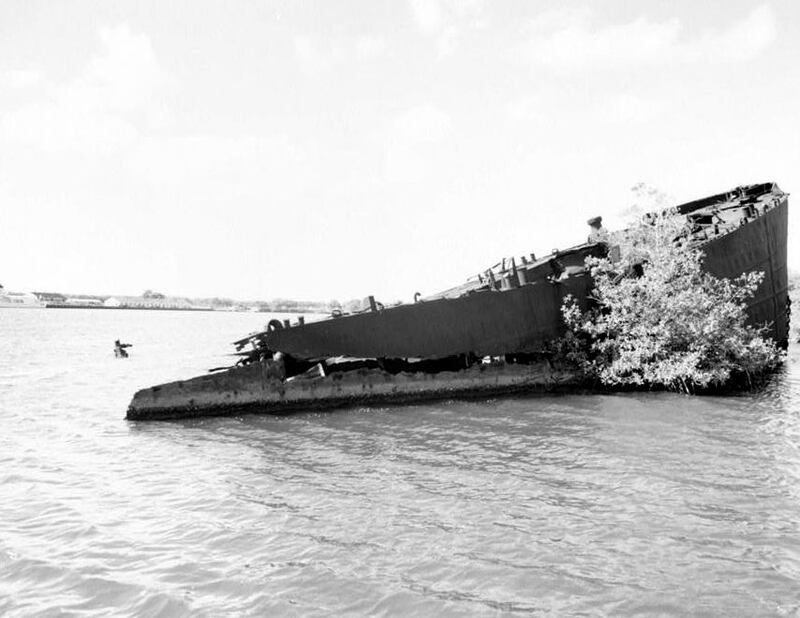 The remains honor the 163 Soldiers, Sailors, and Marines who died and 396 wounded when a fuel and ammunition explosion occurred at West Loch during World War II on May 21, 1944. 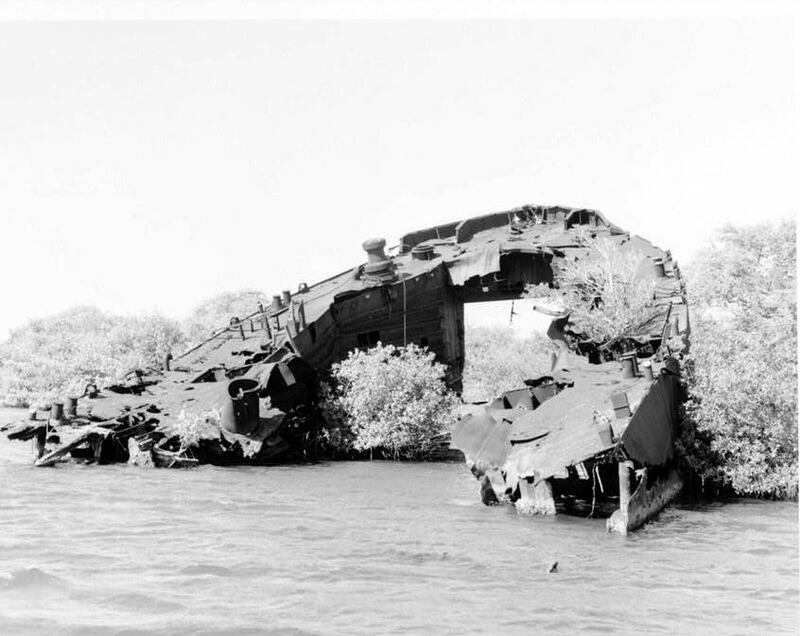 HABS HI,2-PEHA,103�1 62k Undated photos of the hulk of ex-USS LST-480 on the beach at Naval Magazine Lualualei, West Loch, Pearl Harbor, HI.